Jesus calls people to follow him. I am always amazed that the first people he called “left everything.” I put myself in their sandals and say, “I wouldn’t follow Jesus today, because it snowed three inches overnight and I have to shovel us out first.” Peter and James may not have had snow, but they had fish to be taken to market, nets to be mended, elderly parents, households to take care of, etc. Looking closely at the story (Mark 1:14-20), I see that John the Baptist had already prepared these people. When we listen to Jesus, our hearts have already been prepared by the scriptures we have learned, the people who lived as Christians before us, the dark traumas of our own lives when God was our only help and consolation. These things are in our past, Jesus is before us, do we follow him? They become a part of a small group working together to know Jesus. Think the Hobbit. Think of the tightest team you’ve ever been a part of — I ran cross-country and had a very close relationship with the guys on my high school team the year before I became a Christian. If you follow Jesus, he will call you to be a part of a small group. Hands on experience of helping people. Jesus didn’t ask people to give money to a mission project. He asked people to follow him and do as he did as he met the needs of people. A journey to the cross. 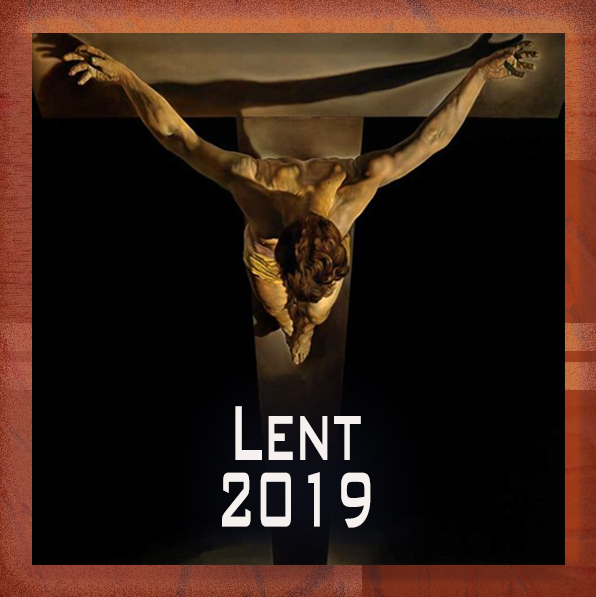 Lent is coming. Will you follow Jesus more intentionally this year, even if it put some of what you value now at risk? Who are these guys and why are they going to Emmaus? Recent archeology puts Emmaus at 19 miles from Jerusalem (160 stadia), not seven (60 stadia). This agrees with some of the oldest texts. Early scribes dropped the one hundred stadia, perhaps because it seemed incredible that someone was trying to walk that far, in sandals, without GPS or an MP3 player. These dudes were motivated. Even though the women were saying, “Jesus lives,” they were hitting the road, hard. I guess witnessing a crucifixion does that. Especially when you are afraid of being tarred with the same brush. This is the season when we get in the car and journey to see family and friends. When the kids complain because it’s three hours in the car to Grandma’s, we remind them how Joseph and Mary saddled up the old Yugo and drove a hundred miles, the limit of that car’s extended warranty, in order to get tax forms from Quirinius’ office in Bethlehem, because Nazareth was too small a town to have wi-fi. The thing we mustn’t miss in our attempt to explain the oddness of Palestinian life, is that faith is a journey. Jesus invited people to follow him. The first Christians, having no name to call their new religion, simply said that they were people of the Way (see Acts 9:2, 19:9, 19:23). When we share communion, we should remind people that this is bread for the journey. Those who think that they have arrived, aren’t welcome. The US Army has a slogan: Mission First, People Always. It can be translated for the church as; Witness First, Be Disciples Always. In both the business world and the military, such slogans emphasize the priority of both developing a strategy to achieve your mission, as well as, building an organization that invests in its members. The strategic front-end of the slogan, prods leaders to compete, win the battle, and remain on task. The people-end of the slogan, prods leaders to build healthy organizations, channel resources into training, develop teamwork, and always serve the needs of your members. Church members in too many cases are like deep sea divers, encased in the suits designed for many fathoms deep, marching bravely to pull out plugs in bath tubs - Peter Marshal. When Marshal wrote these words he was addressing the problem of do-nothing-pew-sitting Christians. Now, six decades later, the time has come to apply the overdressed deep sea diver concept to whole congregations. Maybe a third of the churches in America have developed protective policies and resource management skills to the point that they fail to do much good. They have, quite simply, forgotten why Christianity matters. The reason Jesus wants us to make disciples is so that the church can transform the world.